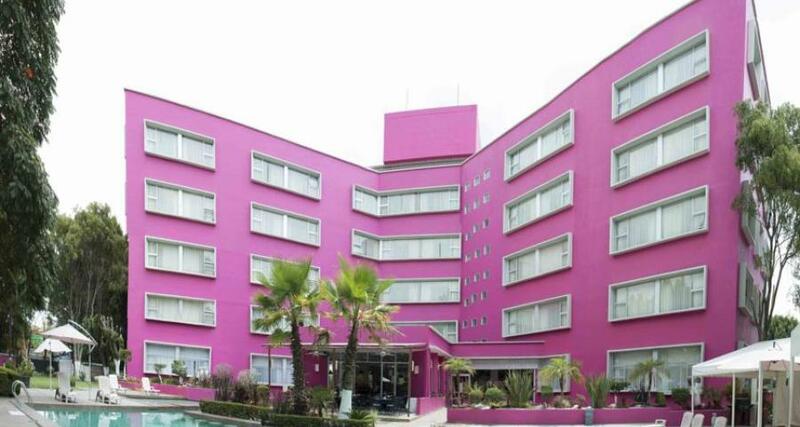 Best Western Plus Puebla is a 4* hotel located in Puebla, Mexico. It features 161 rooms and swimming pools. With a fantastic location close to the historic center, the Best Western Plus Puebla is an excellent choice for an unforgettable trip to the beautiful colonial city of Puebla. The hotel is situated in an upscale area, close to restaurants and bars, along with plenty of tourist attractions. You'll find comfortable guestrooms, a restaurant, a lobby bar and 1.2 acres of gardens with a gorgeous outdoor pool. Just one block from Juarez Avenue, it's an ideal choice for vacationers or those traveling for business. The hotel features a fantastic selection of works of art by a variety of renowned contemporary Mexican artists.